Weddings require a lot of detailed planning because every couple wants their day to be special. 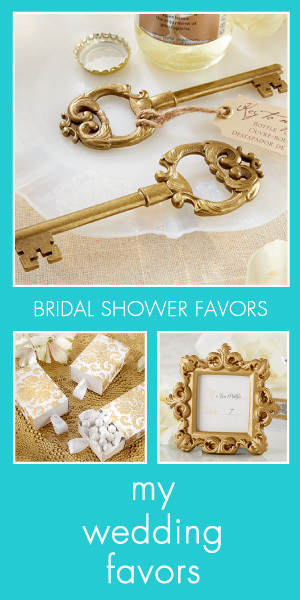 One of the most important details involved in the planning is choosing the perfect invitation. The invitations will serve as a lasting memento for years to come for all of your family, friends, and invited guests. To create something to remember, consider using unique laser-cut wedding invitations for something out of the ordinary. Intricately laser-cut designs will impress your guests as well as give the bride and groom an extra special reminder of their big day. Laser-cut designs are available in various themes. Here we take a look at some examples. Planning an actual beach wedding or one with a beach or tropical theme? 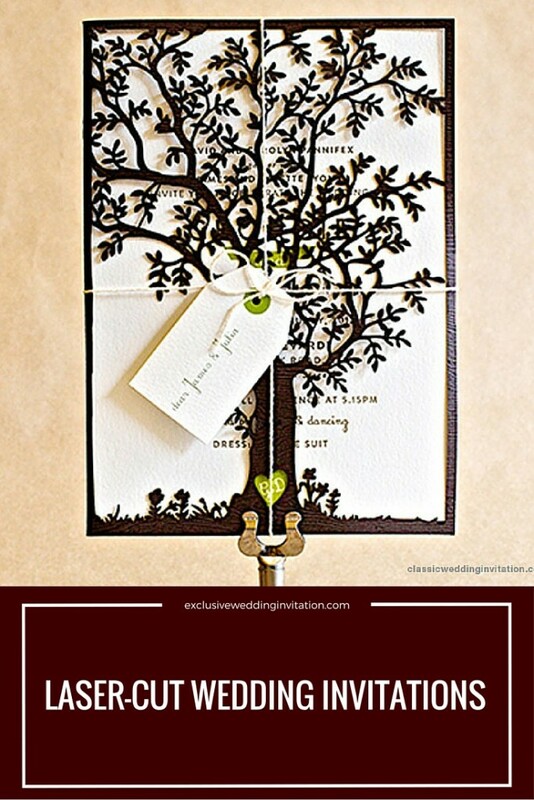 These laser-cut wedding invitations are the perfect choice! This is a tri-fold card that unfolds into a unique presentation. Invitation includes a small card perfect for RSVPs from your guests. Design feature the bride and groom standing among palm trees in a charming beach setting, with a sailboat floating by in the distance. These are digital print, laser cut designs and customers will be provided with a digital proof prior to printing. Color options include Ionised, Galvanised, Ruby Purple, Red Lacquer, and Gold Leaf. Various fonts can be chosen along with envelope options. Your detailed information is printed on the inside of the tri-fold, with the names of the couple printed on the front fold section. Unique Wedding Invitations-You Are My Sunshine! This lovely wedding invitation is offered in four color options of Red Lacquer, Ruby Purple, Gold Leaf, Ionised, and Glavanised. This is a digital print, laser cut design featuring the happy couple standing in a large field of lovely sunflowers, with the sun shining brightly on the hillside. Invitation is tri-fold design with the phrase "You are My Sunshine" printed on the front fold. Includes a small card which can be used as an RSVP card. 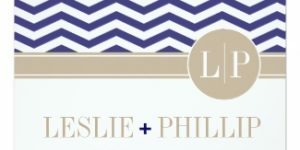 Order can be customized to include your choice of font, with a choice of various envelopes and an option to purchase RSVP envelopes. Laser-cut design looks great either folded or unfolded. Having a garden or outdoor wedding? These beautiful laser-cut wedding invitations are perfect with their intricate detail and tri-fold design. Front fold features birds sitting in the tree branches with blossoms on the branches. Invitation fits a square 150mm by 150mm envelope. Comes in several color options including Ionised, Galvanised, Gold Leaf, Mocha, Black, Ruby Purple, Red Lacquer, and Dark Blue. Cards can be customized and various fonts can be used, as well as choice of envelopes. Inside the middle fold section, the couples' wedding details are printed out, with a design of the two birds in the tree printed at the top. Makes the perfect choice for a spring wedding, or any outdoor ceremony. This is an elegant choice in laser-cut wedding invitations, featuring a beautiful design of classically designed lace in the form of a detailed bellyband that wraps around the main part of the invitation. Names of the future bride and groom are printed across the band, making a terrific first impression for those invited. Invitations are digital print and laser cut and come in color options of Mocha, Black, Red Lacquer, Ruby Purple, Ionised, Galvanised, Gold Leaf, and Dark Blue. Fits in a DL envelope. Font and envelope choices available. 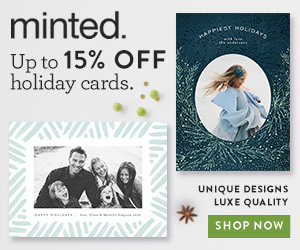 A digital proof of your chosen design will be provided before printing. 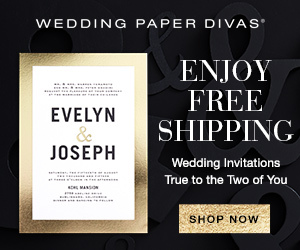 These elegant wedding invitations were originally inspired by a couple named Ayse and Andrew, but of course, yours will be personalized with your own names within the laser-cut design. This is a classical tri-fold style card that fits a square 150mm by 150mm envelope. Card choices of colors Dark Blue, Gold Leaf, Ionised, Galvanised, Red Lacquer, Buffalo, and Enviroboard. Design features an intricately detailed pattern on the front fold of the card, with a middle section that has the names of the engaged couple engraved into it. 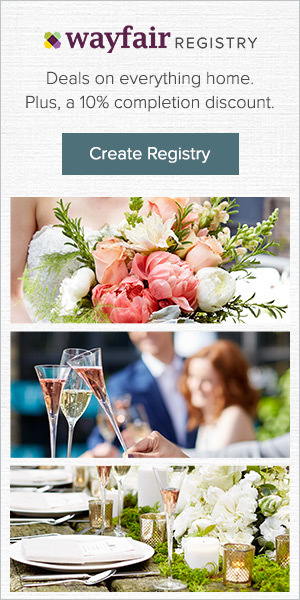 Middle fold sections provides all of the wedding details and information. Customers have choice of envelopes and font styles. A digital proof of chosen design will be provided before printing. Makes a great choice for any style or wedding theme.